Our surface operations, through dedicated and containerized vehicles cover most parts of India. Our adherence to strict schedules of vehicle movement, extensive and strategic routings offer you an option to book your shipments through surface mode. Taking care of the convenience of our customers belonging to different organizations, we ensure a best class grade of Car Transportation Services. The offered services are marked with durability and elegant work completion so as suit the exact need of our clients. Also we ensure that our services are offered at a leading market price thus maintaining all sense of integrity with our customers. No matter how heavy the load and no matter where the load may be, our special team of professionals and technicians pre-plan the shipping and transportation process to ensure safe delivery of your cargo. We have the resources to ship and deliver single units up to 1800 metric tons. The complex requirements that encompass Project Cargo execution requires 'out of the box' thinking in order to create and implement effective solutions. 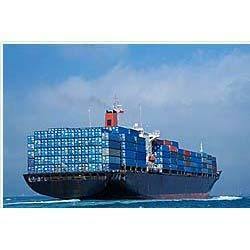 Leveraging on our huge industry understanding and knowledge, we are providing QMS Cargo Shipping Service. These provided services are delivered by well-trained professionals as per set industry guidelines. Due to its perfection and promptness, this service is broadly valued by our clients. Our experience in moving temperature controlled goods enables us to provide you with professional and comprehensive solutions to your needs. 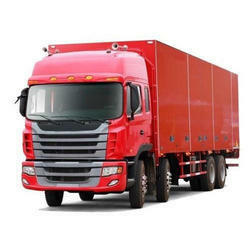 We handle the transport process carefully, focusing on the strict requirements and delivery times. Our service covers temperatures between minus 30 to plus 30 degrees Celsius.